The panel is rusty as anything, the buttons (screw ins) have all been glued in, and the joysticks are also screw ins and glued in. It's been a fun time with the dremel cutting them out permanently. So i'm just on arcadeworlduk with a basket full of seimitsu buttons and joysticks but i'm not too sure about how to mount this thing to my panel? And it looks to me like the standard mount wont fit these two little brackets I have.. I'm trying to get a LS-32 seimitsu, but it has a mounting option, do I want SS or SE plate? The mount plate you have in the photo is for the Sanwa JLF, for Seimitsu joysticks on a Sega panel (your panel) you will need a pair of "NA" mounting plates which is currently OOP, but I beleive focusattack.com still sells them. These might work for seimitsu, thought the stick might sit a little lower than it should. Hey no that is perfect, I for some reason assumed it was supposed to be seimitsu. That’s great, sanwa stuff it is! Well i really screwed this up. 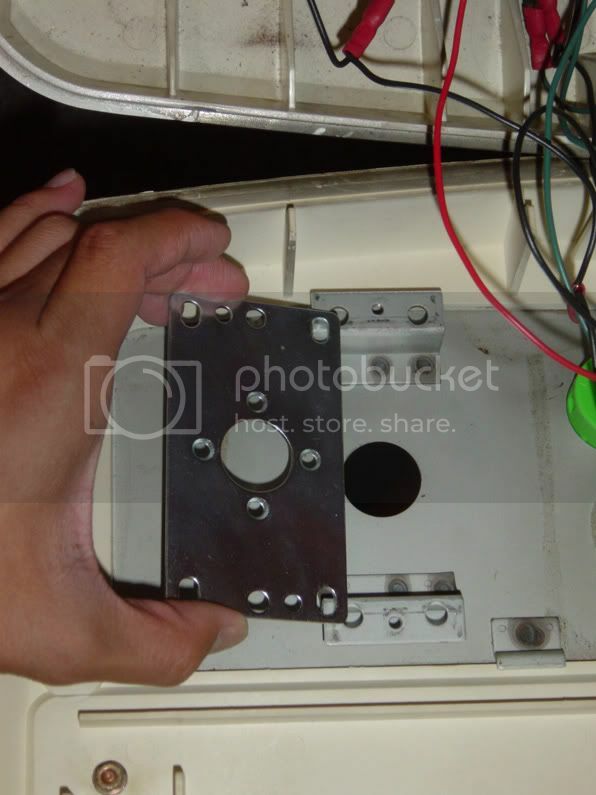 that image was just an example, I didn't actually have a plate I just had those 2 brackets on my control panel. Now my bits have arrived and I actually DO have that plate on the sanwa sticks which is not only the wrong size to mount to those brackets, even if it did it would make the joystick incredibly short. Can you take a pic of your actual CP so we can recommend the correct mount plates? I'm a little confused if you are saying the sanwa https://www.focusattack.com/sanwa-jlf-p ... ing-plate/ won't fit, because the image of the CP you posted is compatible. The sanwa didn't fit with the standard plates, ended up ordering the S plates and it fits like a dream! Hi all !!! Can anyone tell what the type of screw if used to mount the joysticks? Are the m4’s m5s ?